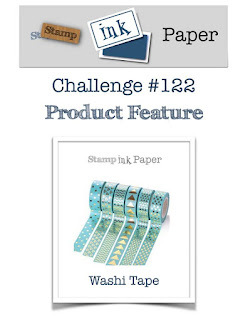 Tina's Crop Shop: SIP Challenge #122 Product Feature - Washi Tape! Hello and Happy Tuesday! I hope your week has gotten off to a good start! 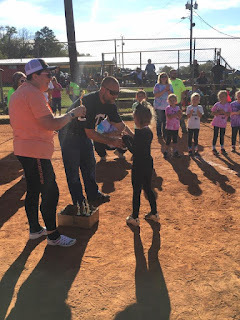 Jeff and I spent Saturday in Knoxville watching our sweet little granddaughter, Laken, play softball. It was her only tournament this year and since I've seen her older sister play in several tournaments, I had to make this trip! 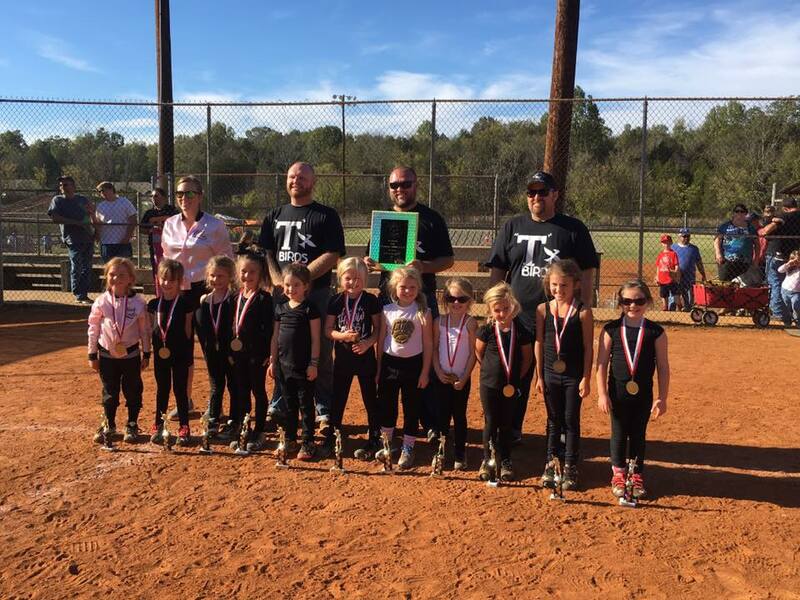 Oh and the good news was that they won their age bracket! 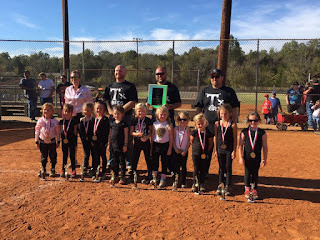 Here's a few shots that I couldn't help but share.. lol it was a Halloween Tournament so they played in costumes. 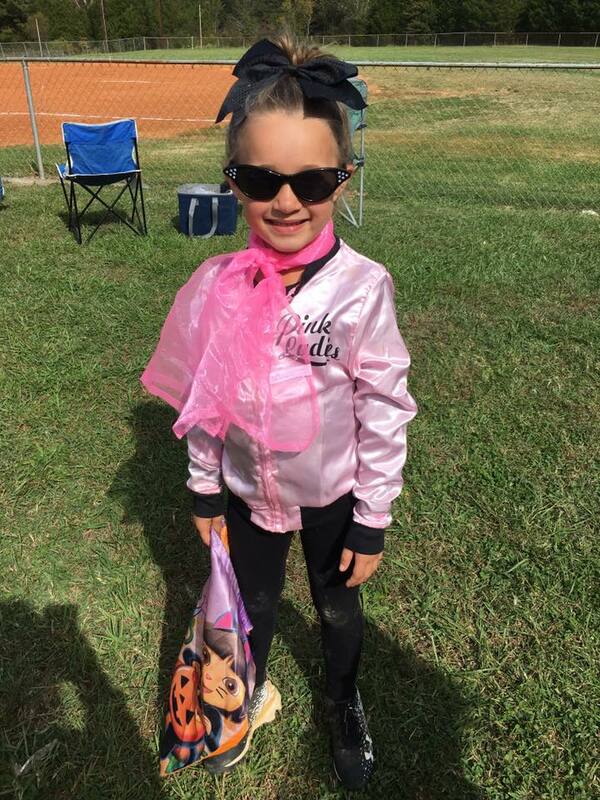 Laken's team played as the Pink Ladies softball team from Grease! It started off cool that morning and believe me by the end of the day it was time to peel that little jacket off! 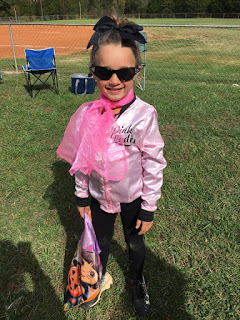 lol Laken is absolutely adorable and just as sweet as she is cute! Well back to Tuesday and the matter at hand. You know what Tuesday means, right? 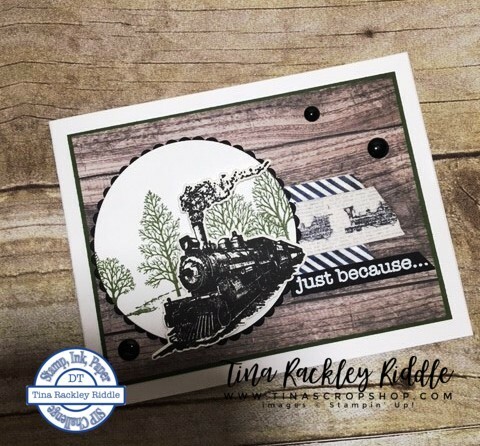 Since I had some Washi Tape with trains on it I decided to pull out the Classic Traveler Stamp Set along with Lovely as a Tree! Tip: When using Washi Tape over DSP or dark Cardstock, mount the Washi Tape on White Cardstock and then cut out around it. It makes for a cleaner look and makes the Washi more stable. I use snail to adhere the mounted Washi Tape to the DSP or Cardstock.